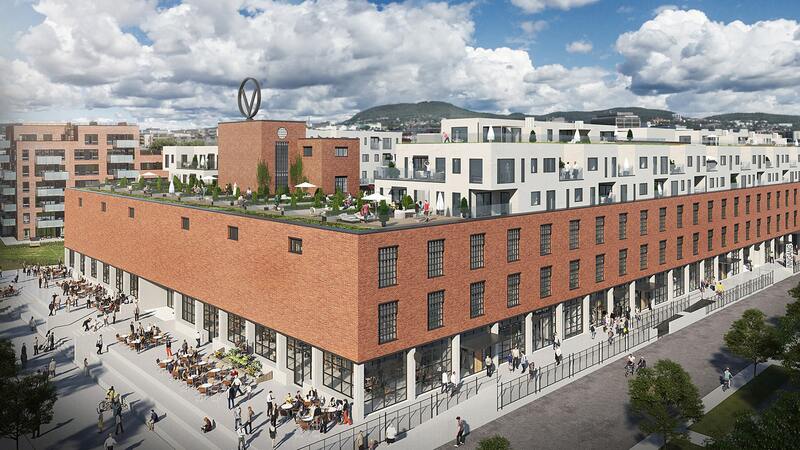 Solid Entreprenør AS will build 223 apartments and rehabilitate a conservative building in the project Bygg 01 Vinslottet i Haslevangen 18 for Höegh Eiendom and Profier. The project will consist of a first floor with shops and cafes, as well as 5 floors above with homes. Construction time is scheduled to last from May 2017 to June 2020. Jotne Ankers is going to provide this project with 9 pcs. spiral staircases.